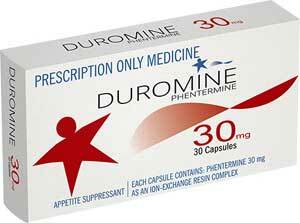 Metermine is a brand of Phentermine manufactured by iNova Pharmaceuticals. Many people need to lose weight, and Metermine is respected for its ability to help people get slimmer, so it is a much sought after drug. Unfortunately, it also presents health risks, so doctors are only permitted to prescribe it to people who are clinically obese. Some people who want to lose weight find the restrictions hard to take and decide to search out an overseas supplier who will allow them to buy the drug online. This is not good thinking. Safer, more effective options are available. The food we eat provides the body with the nutrients and calories that are necessary to maintain life. Calories are needed for energy and the body is burning them 24-hours a day. Even the act of blinking the eyes requires two calories per blink. The problem is many people eat more calories per day than their body needs. The extra calories are stored as fat and the body weight increases. Most people who are overweight understand why they have started tipping the scales in such an unfavourable manner, but resisting hunger urges is very difficult. Especially for anyone who has become used to overeating on a daily basis. When it’s used alongside healthy eating habits and regular exercise, the appetite suppressing effects of Metermine can help ensure the body becomes so short of calories it has to start burning the calories stored in its fat. Each capsule contains Phentermine as an ion exchange resin complex. Phentermine assists weight loss by causing the brain to stimulate the adrenal glands into releasing the neurotransmitters (norepinephrine, serotonin and dopamine) that are normally emitted during times of danger or exhilaration. This generally provides fast appetite suppression, but the level of hunger reduction experienced can vary from one person to the next. How to Use – has to be used in conjunction with diet and exercise. Only one capsule is needed per day and should be taken with breakfast. 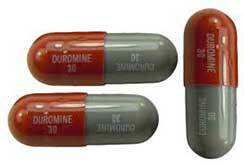 The capsule may contain 15mg, 30mg, or 40mg of Phentermine. 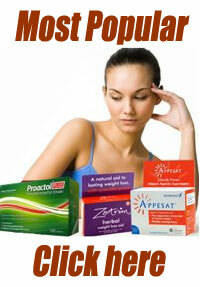 The doctor prescribing the medication will decide which strength option is best for each patient’s individual needs. The maximum treatment period is three months, but the doctor may decide to stop the treatment sooner if use of the medication does not appear to be helping patients to lose weight, if the side effects become too bad, or if the weight drops below the BMI threshold required for a Metermine prescription. It should be possible to buy Metermine via your local pharmacy, but you will need a doctor’s prescription before you can do so and, unless you are significantly overweight, you are unlikely to obtain one. The law only allows doctors to prescribe to people who have a BMI of 30 or more. In some cases the threshold may be dropped to BMI 25, but only when people have other health problems, such as diabetes or sleep apnea. Although Metermine has the ability to suppress the appetite and help people to lose weight, any results achieved can come at the price of unpleasant side effects. It also has to be borne in mind the drug is only intended for short-term use and will not be able to go the distance and support dieters along the entire length of their weight loss journey. Anyone who meets the criteria for a prescription will only continue to do so until their BMI reaches the threshold level. So anyone who gets a prescription because they have a BMI of 32 will be unable to continue the treatment when their BMI drops to 29. 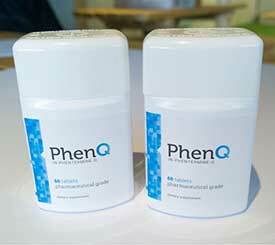 The Metermine substitute, PhenQ, is a far better option. It provides dieters with long-term support and its blend of natural ingredients delivers a combination of appetite suppression, fat burning, and other benefits that make it a safer more powerful diet pill than Metermine. We’re not putting down Phentermine-type drugs. They obviously have their place. We are merely pointing out safer options are available and hoping to discourage dieters from purchasing illegally via online sources.